Lots of acts I adore are set to release new LPs in 2016, including Ty Segall, Rob Crow, Underworld, and—hopefully—Kanye West. Right now, though, I’m most excited about Primal Scream’s forthcoming Chaosmosis, which hits stores March 18. 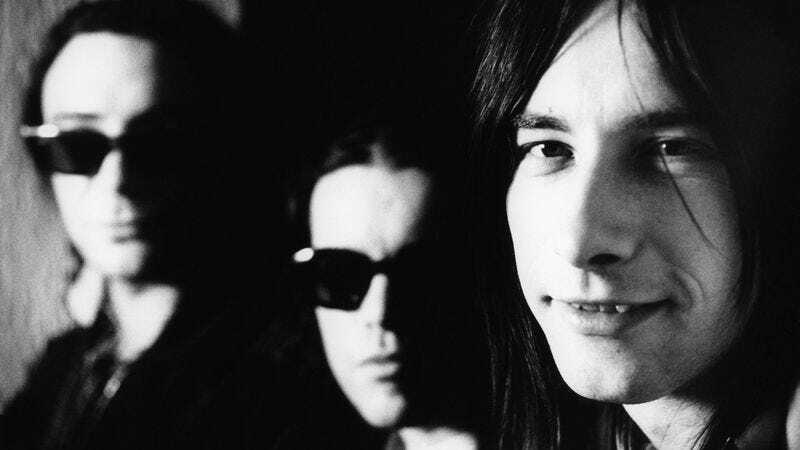 My love of Primal Scream is no secret on this site, and I’ve written about “Rocks” before for this very column, but even that ripper pales in comparison to my favorite PS song, “Movin’ On Up.” A much better song than the track of the same name that opens The Jeffersons (come at me! ), Bobby Gillespie and company’s “Movin’ On Up” blends gospel glory and drugged-out Britpop. It could be the soundtrack to almost any scene, pulling equally from Rolling Stones-style gritty street anthems and the Madchester scene that was peaking at the time. It’s a perfect rock confection, and, though Screamadelica is, in my opinion, one of the best records of the ’90s hands down, “Movin’ On Up” shines just as bright on its own. Put it in context with the rest of the LP and you’ve got a goddamn musical miracle on your hands.